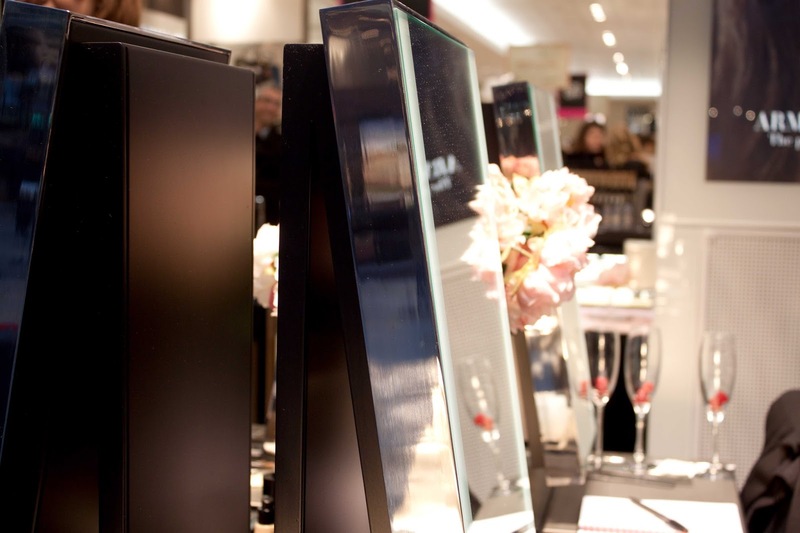 In the world of beauty and skincare, there are so many cult products and brands I want to try – Emma Hardie Cleansing Balm, Bobbi Brown Lip Pencils, and a foundation much hyped by Anna, Giorgio Armani Luminous Silk Foundation. 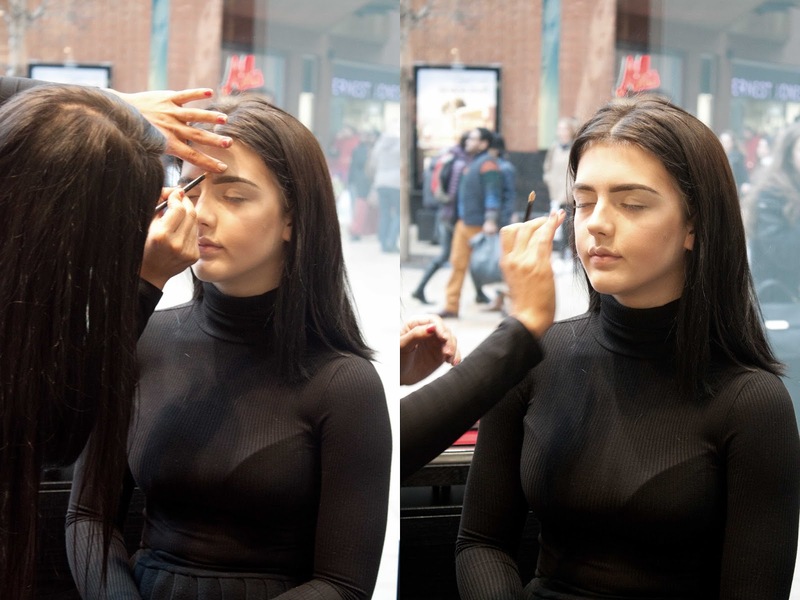 Call it luck then (or beauty fate) that the brand’s new concession in Bristol Cabot Circus asked me to come down to get to know the make-up line a little better and clued up on their best-selling foundation – well, you can’t say no to a make-up masterclass can you?! 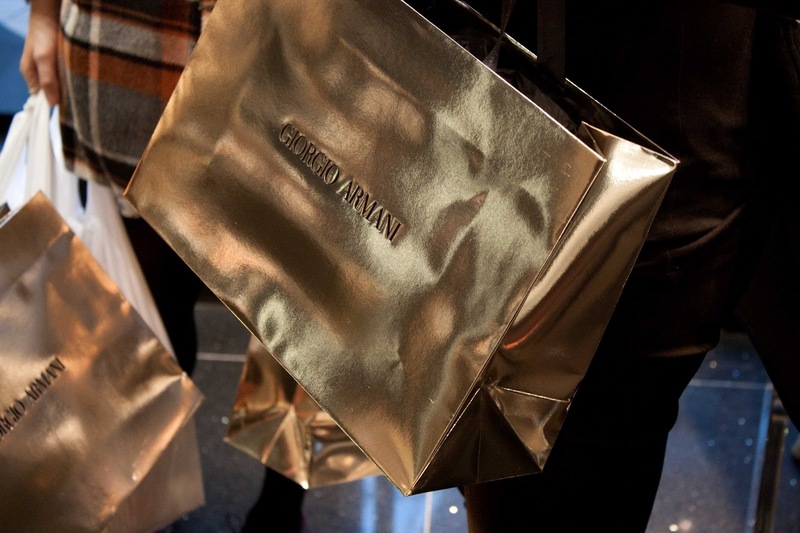 Showcasing the Armani Glow and how to use some of the best-selling products, the Armani girls let a brand newbie like myself get in on the background of make-up design and application, whilst letting us all in on how the colours are used and rated against other high-end brands. 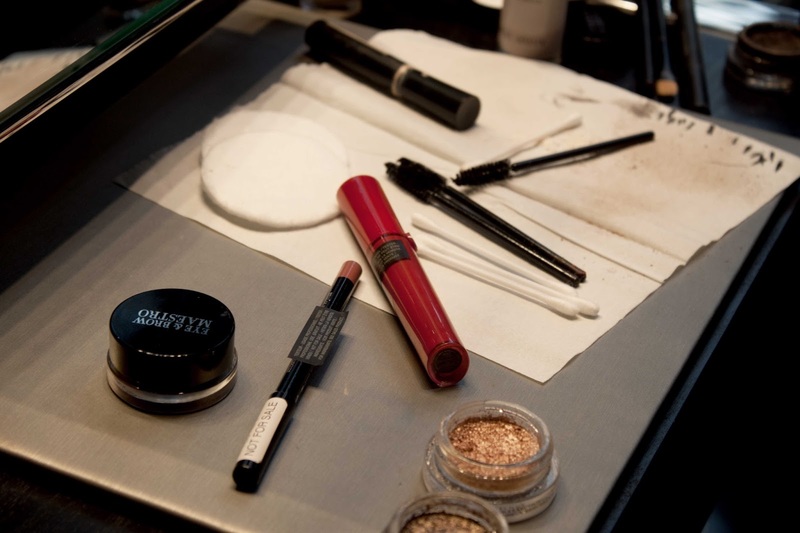 The finished look was old school glamour with flawless, even coverage and striking jet black lines against a red lip. 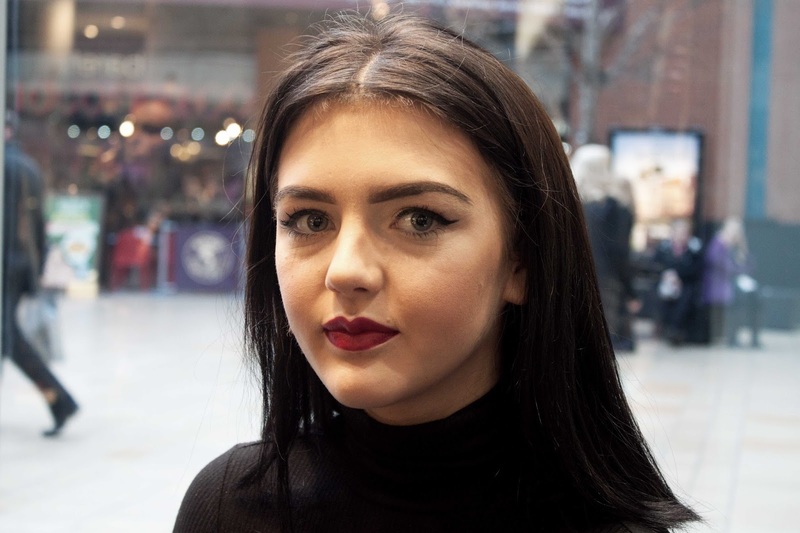 As we all got to try a swatch of each product used, I have to say the pigmentation and longevity of all the products is amazing; the Lip Maestro stays on for hours, and the eyeshadows have a deep colour to them which is great as a base or bold statement lid that wouldn’t go amiss on the catwalks. 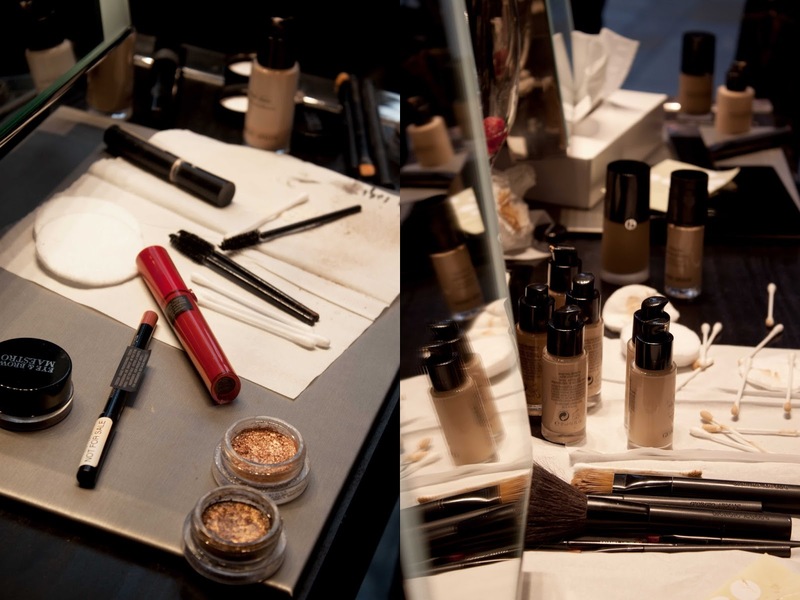 Now for our own little makeovers, and a chance to get swatched up for Luminous Silk. The range of colours is seriously on point, with cool and warm tones to suit everyone and give you that ‘your skin but better’ feel to it. Shade 5 blended in perfectly with my skintone, and with a formula that doesn’t contain SPF there’s no flashback for me anymore when taking photos – hallelujah! 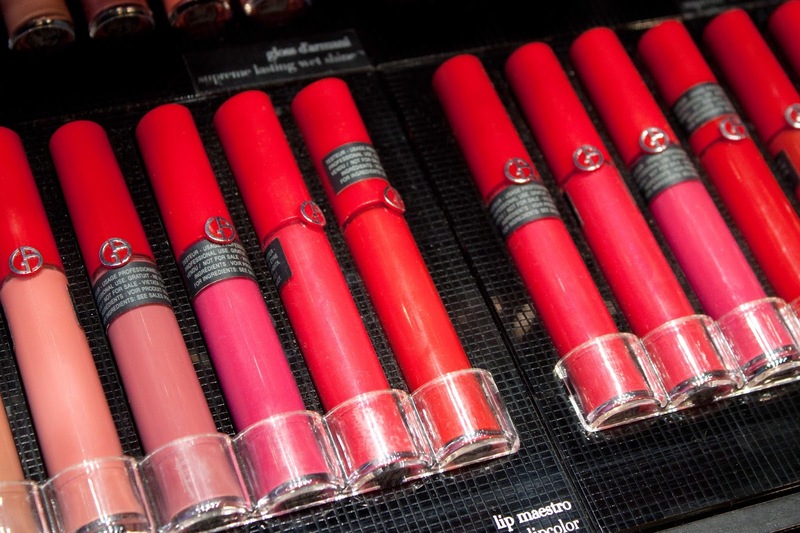 I also took the time to snoop around the concession, checking out the range of colours and products on offer; the lip liner in Beige and Rose along with the Blush Lip Maestro are big sellers at the moment due to the Jenner lip effect – both beautiful colours, I can see how they’d sell regardless – and also the Fluid Master Primer which felt so silky and soft to the touch, and my skin felt rehydrated, smooth and a dream to apply make-up to. I’d say it’s similar to The Body Shop Matte Primer, but this feels so much more luxurious and that it’s actually creating that barrier between the skin and product. 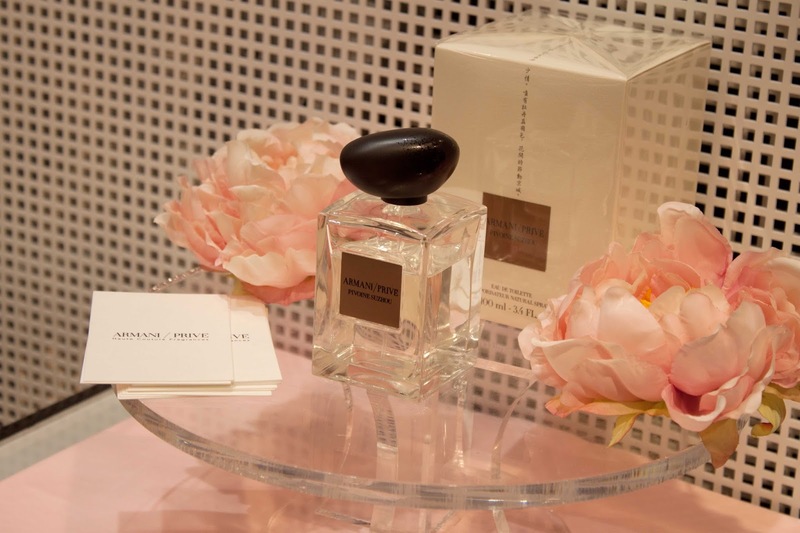 The day we attended was the launch of Giorgio Armani’s new fragrance, Pivoine Suzhou, which comes in a very gorgeous pink bottle that is classy and feminine to reflect the scent – sweet but with fresh, grounding undertone which I believe compliments the Ancient Chinese influence perfectly. Absolutely perfect in the spring/summer and my Mum has already nabbed the sample – definitely worth a spritz! 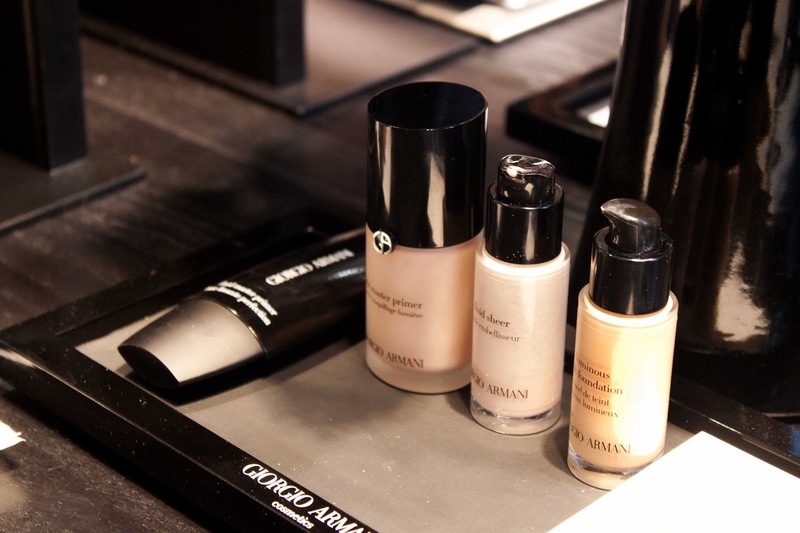 So what do I make of Giorgio Armani beauty? Well, it pretty much rocks – Luminous Silk* is everything I expected it to be, a perfect colour match, light but great coverage and lasts for hours. Maestro Fusion Make-Up* was also included and is described as a complexion adapter to enhance the skin’s radiance in a blend of oils, and the shade 5.25 I believe we were sampled is a very ice-pink highlight on my skin; it definitely made my skin look brighter and reflect light more when buffed in, however for coverage it’s quite light so I like to use it under a foundation to add an added ‘glow’. 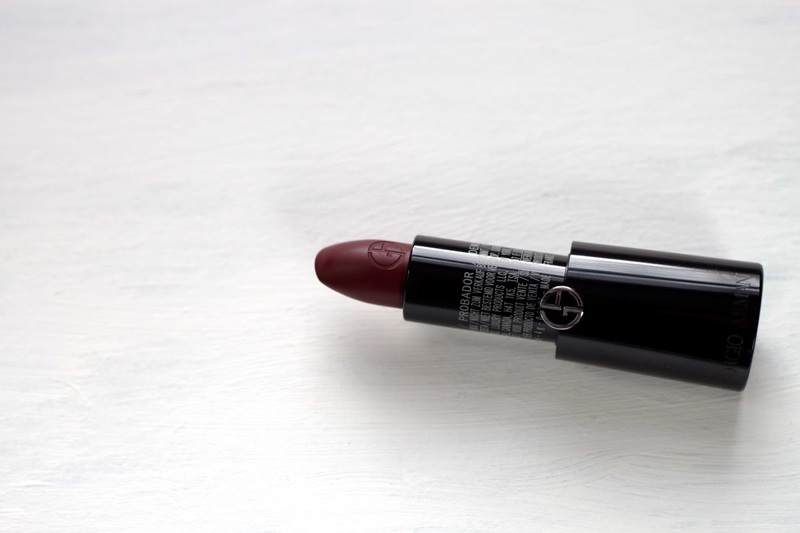 Finally, the lipstick; Rouge D’Armani in Plum 611* which is more of a red than plum but that just makes it all the more wearable. 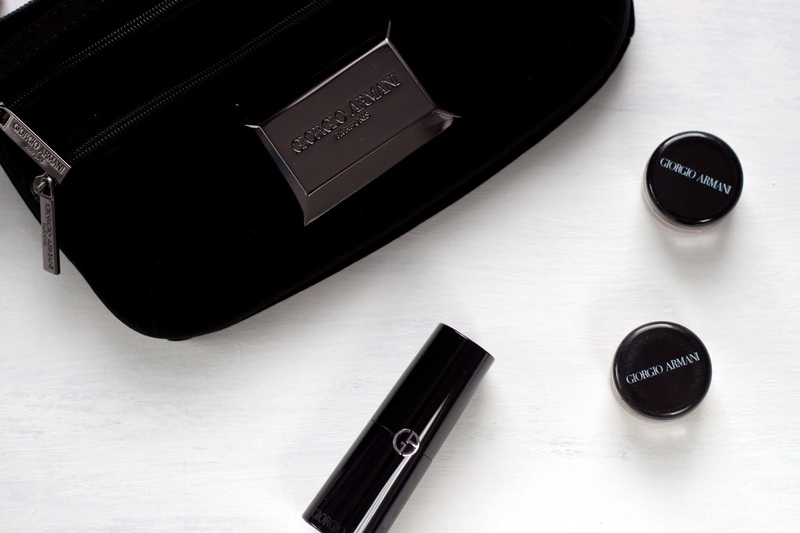 It definitely is the comfortable formula as described, but it is quite glossy for me and it shows when blotting your lips as a lot of colour comes off. 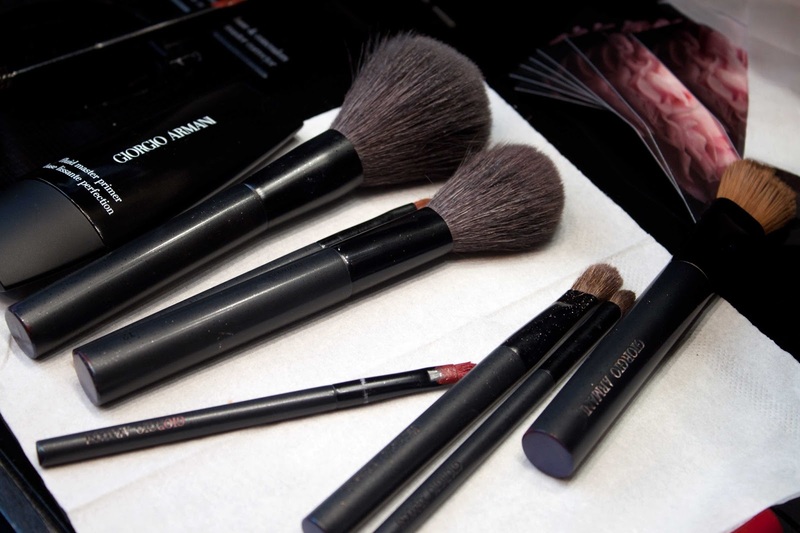 However, this dark shade leaves a great pigmented stain behind which, sharpened up with some liner, is on par with a matte lipstick so bear it in mind if you want longevity with this formula, and doesn’t come off too much if you’re careful when eating. A reformulation to a matte so less product comes off would make me a bigger fan of this, but I’ll definitely blotting this down for evenings and dark make-up looks. 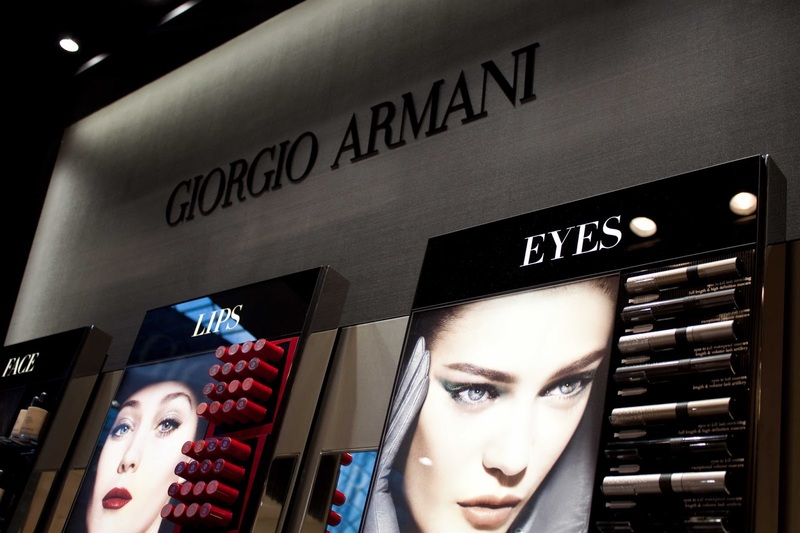 Armani Beauty is the luxury it sets out to be – beautiful packaging, high quality, pigmented and long-lasting. 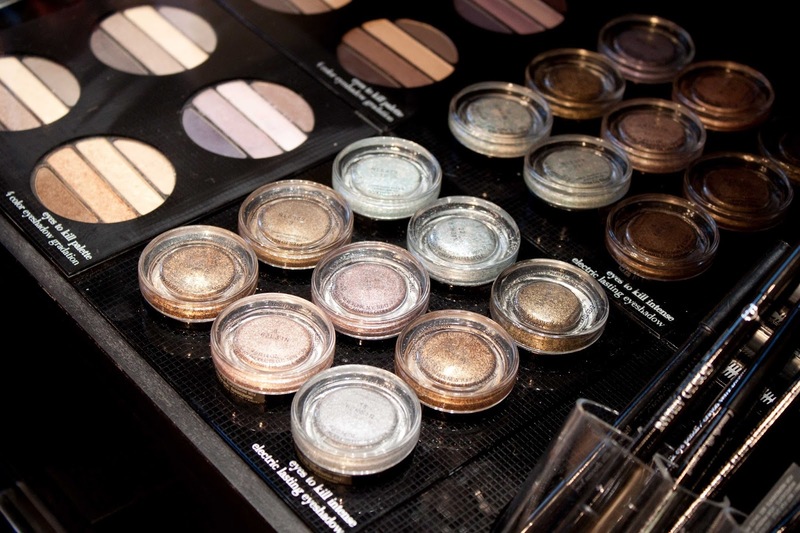 The high price may make you a bit wary but the foundation especially is worth the penny, and the eye-shadows and liquid blushes are super pigmented and only need a small amount to give you the colour of your dreams. 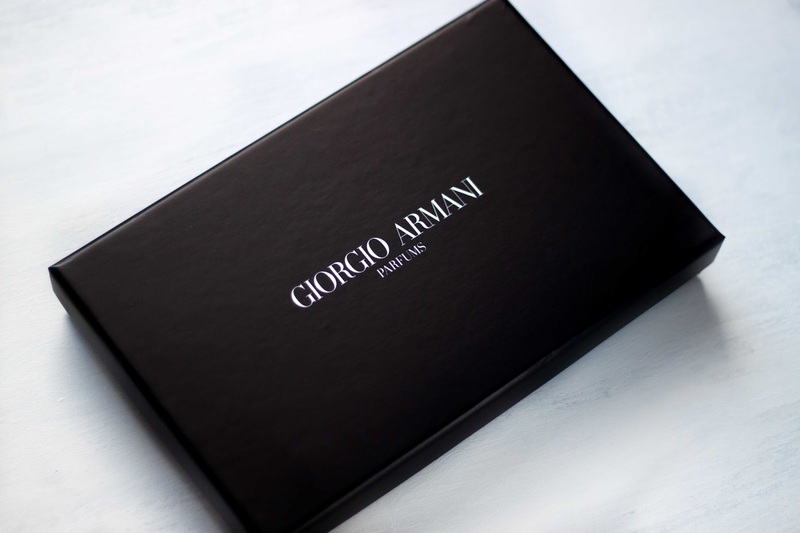 Luminous Silk has rose quickly on my wishlist, as have the Lip Maestro and Fluid Master Primer, so when those birthday questions come rolling in, I’ll finally be clued up on the Armani must-haves! 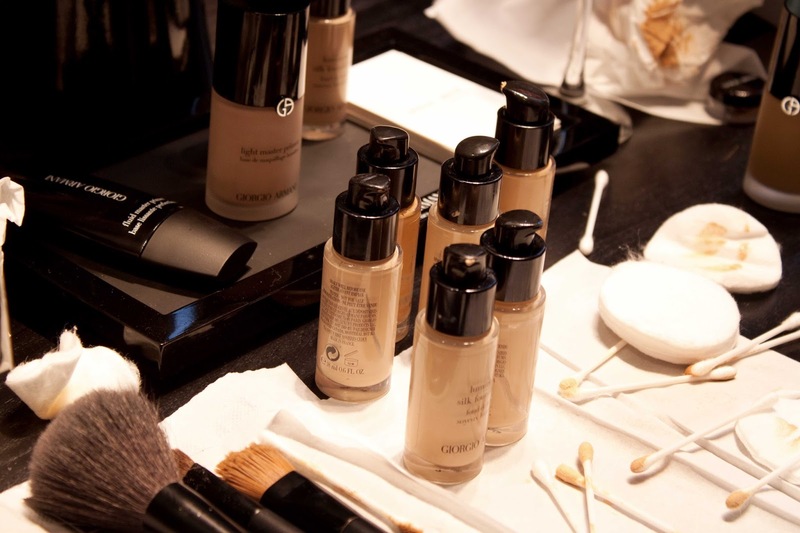 Have you tried anything from Giorgio Armani Beauty? 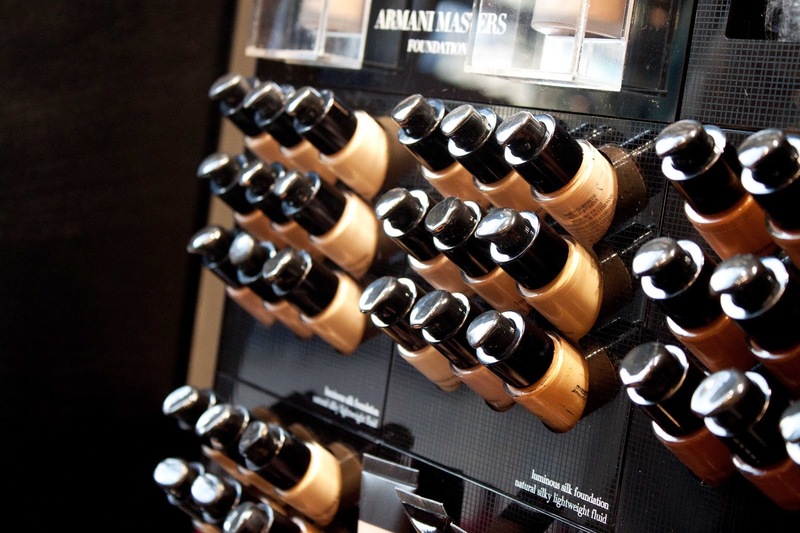 Are you a fan of Luminous Silk Foundation? 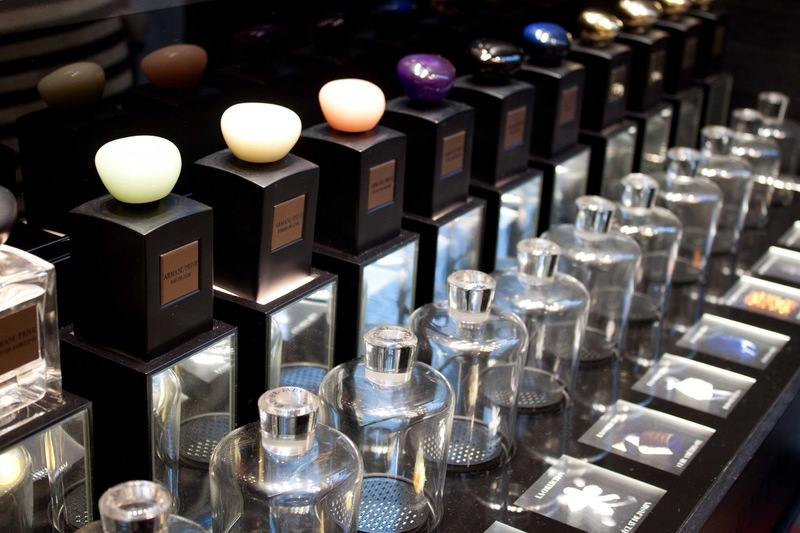 What is your high-end splurge?